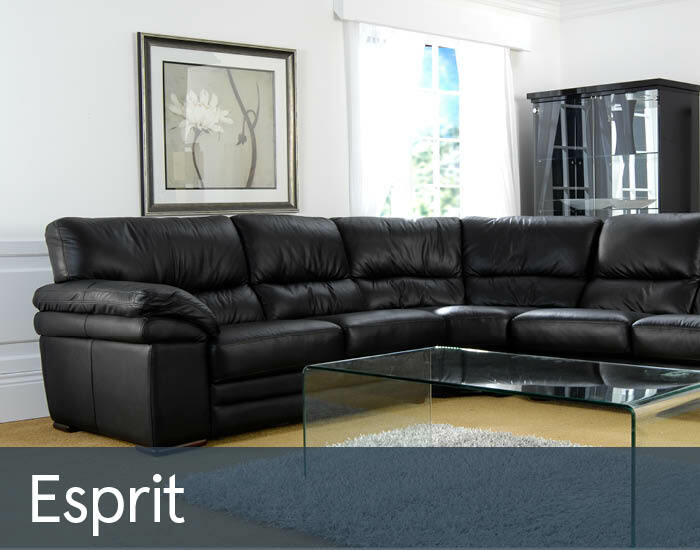 The Esprit leather range of sofas and chairs offers a stylish and versatile seating solution that is perfectly at home in any style of home. With its contemporary style and classic design, the Esprit has a seating option suitable for all decor, styles and sizes of living room. Its high back appeal with the additional comfort of a lumbar support and soft contouring arm rests, helps to provide the most comfort across the entire body whilst lounging. Furthermore, the quality foam seats and fibre back cushions help to give the best in comfort and relaxation. Crafted with a reinforced hardwood frame and fully sprung seat gives the sofas a guaranteed longer life. Upholstered in quality leathers and available in an extensive choice of colours to match all decor and existing furniture, Esprit is also available in fabric for a softer appeal. Detachable feet help when moving the sofas into your home and add a little extra style to the sofas.